Deinitely one of the most common questions guys ask their friends about their vehicle, “What color wheels should I get?” While there is no definitive right or wrong answer there are color combinations a that just don’t look right, so I’m writing this blog post to educate all consumers out there to ensure you end up with a color combination that looks great on your vehicle. For starters. Look at the color of your car, and the tone of the color. To keep it safe with any color car you can go with a silver set of wheels. In my opinion silver looks good on just about every color car except silver. Silver also provides a great contrast if your car is a darker color, say black, blue or green. 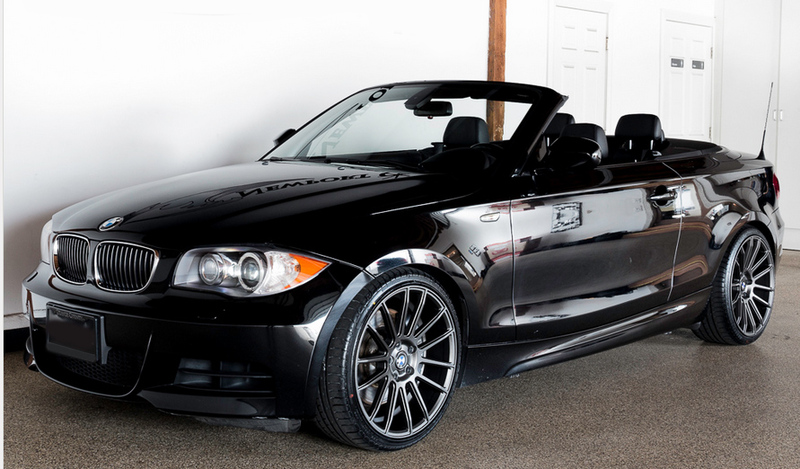 If you’re looking for a trendy set of wheels black is always a great choice. 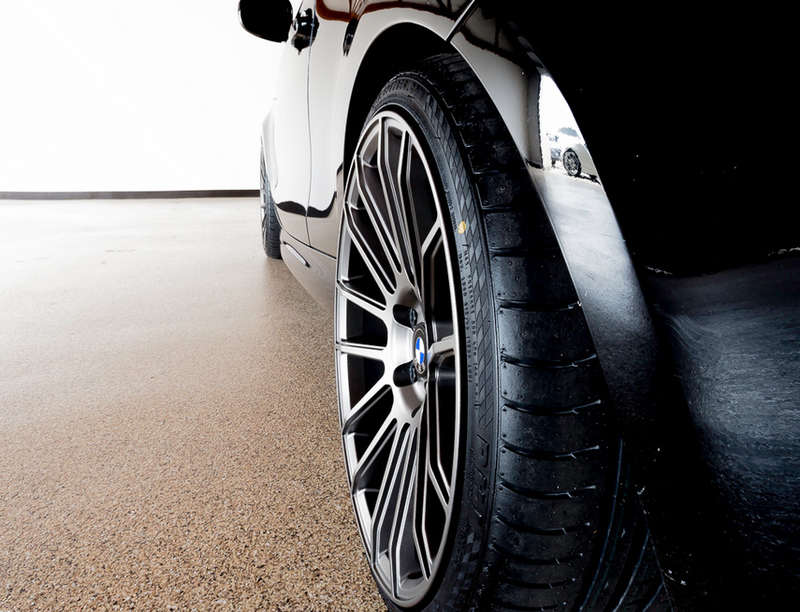 However be careful as black on black or black wheels on a silver car can look a little off. Right now the current trend is the concave style wheels, and rightfully so they take any car to the next level of customization. I prefer gloss black to matte black as well because matte black after a day or two of being driven looks orangish because of the brake dust and generally unattractive. If lipped wheels are more your style I recommend you have either chrome window trip of chrome accents on your vehicle to accommodate the chrome lip. A lipped wheel paired with no chrome accents or window trim will not look as good as the former suggestion. Some will ask about chrome wheels – In my opinion chrome is a very hard finish to look good on an application. Not to mention chrome requires more care, and if you arn’t diligent about keeping the brake dust off your wheels you will run into chrome flaking down the road which can be an expensive problem to correct. Generally I feel that a wheel with a bright silver finish can accomplish all that a chrome wheel does, without the hassle and added expense. Now i’m sure you’re wondering what wheels do I have on my car? 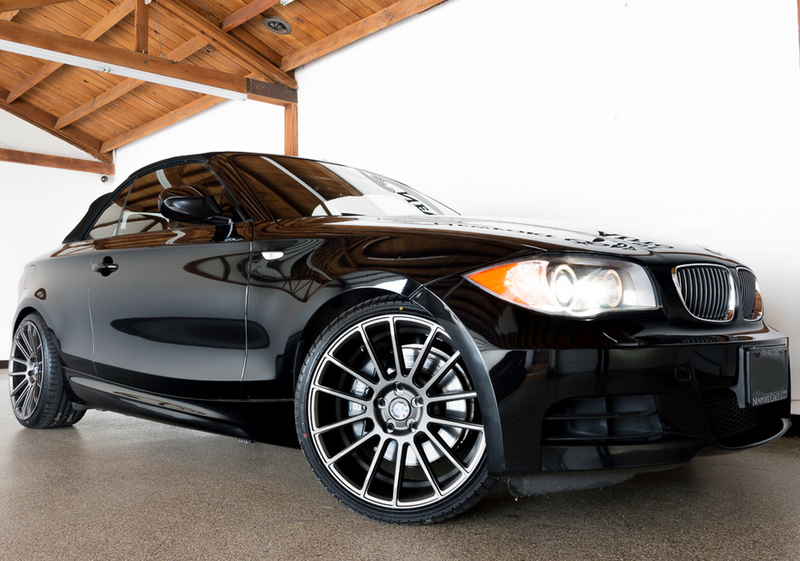 My car is blue so you know of course I went with a black wheel – Some may say it makes my car look “wannabe racer” but that’s not bad in my mind because my BMW 135i is modded and has 450hp. Check out a few pictures below!! 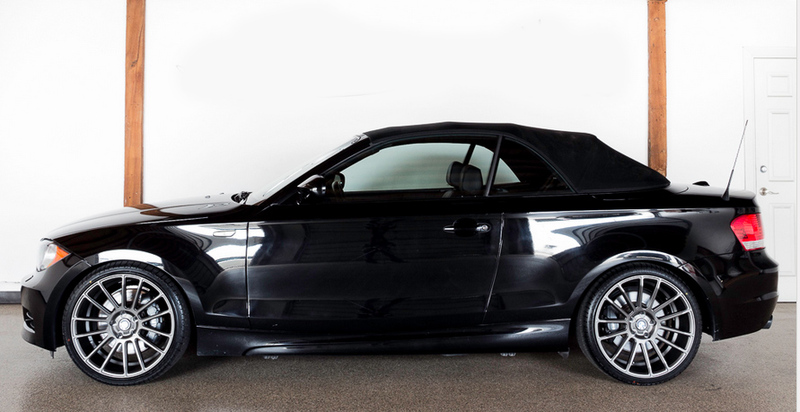 As always, if you are unsure about what wheels to go with your specific color/look you are trying to obtain give us a call (909) 869-5681, or check out our gallery at Nitrousgarage.com to get more options.